" 1 OWNER CARBON 65 EDITION 7 SPEED MANUAL CONVERTIBLE - 1 0F 27"
CARFAX One-Owner. Clean CARFAX. 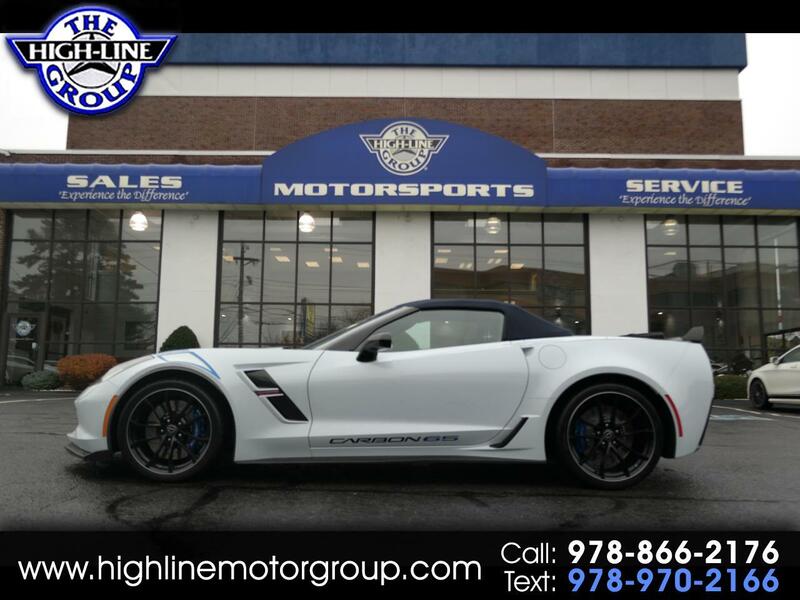 2018 Chevrolet Corvette Grand Sport 3LT CARBON 65 EDITION MANUAL CONVERTIBLE Gray RWD 7-Speed Manual with Active Rev Matching 6.2L V8 4 New Tires, CONVERTIBLE, Corvette Grand Sport 3LT CARBON 65 EDITION MANUAL CONVERTIBLE, 2D Convertible, 6.2L V8, 7-Speed Manual with Active Rev Matching, RWD, Gray, 3LT Interior Trim, 8-Way Driver & Passenger Seat Adjusters, Auto-Dimming Inside Frameless Rearview Mirror, Blue Custom Leather Stitch, Blue-Painted Calipers, Body-Color Outside Heated Power-Adjustable Mirrors, Bose Advanced 10-Speaker Audio System Feature, Carbon 65 Door Graphics, Carbon 65 Edition, Carbon 65 Fender Graphics, Carbon Fiber 3-Spoke Flat-Bottom Steering Wheel, Carbon Fiber Tonneau Inserts, Carbon Flash Badge Package, Carbon Flash-Painted Outside Mirrors, Carbon-Flash Painted Ground Effects Package, Cargo Net, Competition Sport Bucket Seats, Custom Leather Wrapped Interior Package, Exposed Carbon Fiber Rear Spoiler, Exposed Carbon Fiber Weave Hood Insert, Front Curb View Cameras, Head-Up Display, Heated & Vented Driver & Front Passenger Seats, Memory Package, Navigation System, Performance Data & Video Recorder, Power Lumbar/Bolster Seat Adjusters, Preferred Equipment Group 3LT, Radio: Chevrolet MyLink w/Navigation, Sueded Microfiber-Wrapped Interior Trim Package, Theft Deterrent System, Universal Home Remote, Visible Carbon Fiber Ground Effects Package, Wheels: 19" x 10" Fr & 20" x 12" Rr Grand Sport Alum. Experience the Difference at the Highline Motor Group! Recent Arrival! Awards: * Car and Driver 10 Best Cars Car and Driver, January 2017.